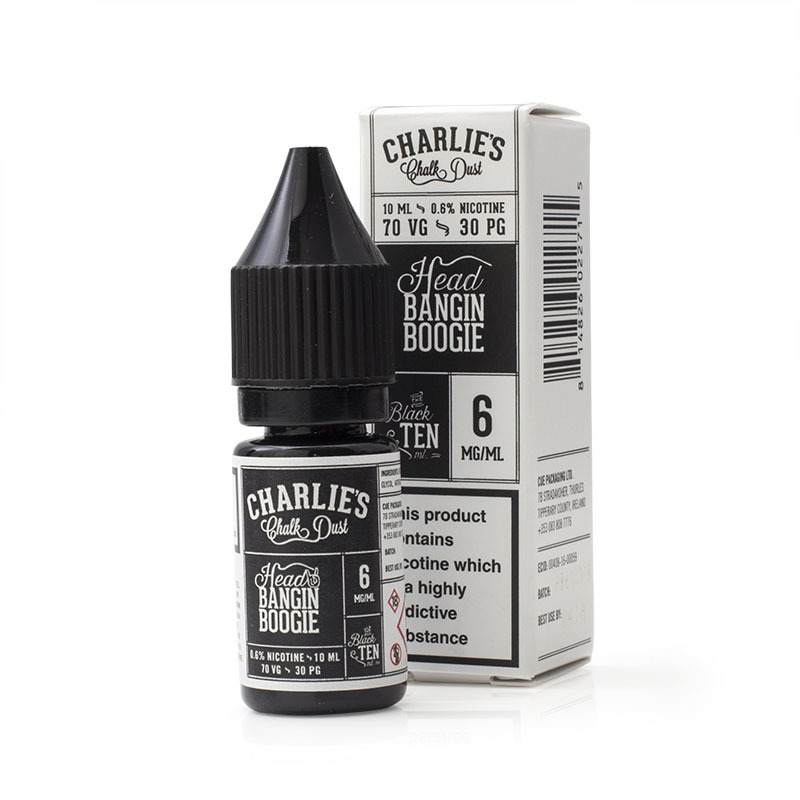 Charlie's Chalk Dust Head Bangin Boogie E-Liquid - Money Off! 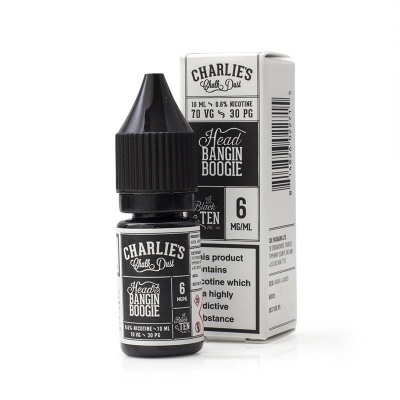 We've all experienced the moment of brain freeze when we've tried to eat a popsicle too fast, Charlie's Chalk Dust Head Bangin Boogie means you can vape a blueberry popsicle all day long without worrying about chilly headaches! Charlie's Chalk Dust apparently started with some hot dogs, a distaste for cab drivers and a potential spiritual intervention. How much truth is in this story remains to be seen, but the results are the same; creative and inventive flavours that create a smooth vaping experience. Head Bangin Boogie E-Juice comes in one size and four different strengths. All are supplied with a child-proof applicator. Some of our stock of Charlie's Chalk Dust Head Bangin Boogie is due to expire soon. In light of this fact, we are offering the affected stock with a discount! This offer is only available while stocks last, so act quickly to save! Head Bangin Boogie mimics the flavour of a blueberry popsicle for a refreshing and light e-liquid that will remind you of summer - or whenever you eat popsicles! Charlie's Chalk Dust Campfire E-Liquid - Money Off!